Grp sailing yachts are worshipped for their lifespan longevity, ease of maintanence, being lightweight, strong and faster compared to steel, or wooden yachts. They are easy to repair and easy to maintain in tip top shape for many years, Glass reinforced plastic is the preferred yacht construction material (after carbon kevlar of course ) for many people who consider sailing boats as utmost adrenalin resource. People buy and sell fiber glass sailing yacht as second hand alternatives since everybody wants bigger and better sailing yacht, so the yachts exchange hands constantly, we also prefer a grp boat for sailing, blue cruising and yachting vacations on board sailing monohulls and Catamaran for sale however after a while small sailing yachts becomes dull and insufficient for friends and family where they need to enjoy sailing however grp monohulls due to restricted space, sleeping berths, small dining areas etc. Are replaced by a large epoxy laminated wooden yachts with huge master cabins, spacious dining and wining areas not to forget sunbathing areas and even space for water toys such as waterjets, canoes etc. The epoxy laminated sailing yacht happens to be very strong and durable due to west system epoxy lamination syatem that happens to be the new generation Gulet building material with the best of both worlds. 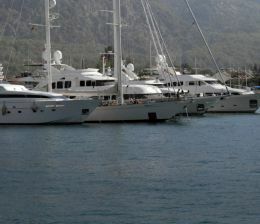 The boatyards in Turkey are building only with epoxy laminated wooden strips covered by a few layers of glass fibre or carbon kevlar bonded with two components epoxy glue in order to create a monobloc hull from the keel to cabin frames which makes them extremely strong, lighter and resistant to any deterioriation from the sea water. This is one of the reasons that new generation Used sailing yachts are bigger, stronger, comfortable and with their innovative design and quality material for interiors they become the rolls royce of the seas. When you consider buying a preowned sailingyacht either plastic or epoxy laminated you need to have an expert surveyor or an experienced captain with you in order to decide what is the best alternative. Since each and every yacht is unique and handmade you need an expert to see countless details which you might not have even thought about, the interior fabrics or furnitures can be impressive but one has to check where and how she was built the electric wiring, engine installation, generators , hydraulic system, watermakers, airconditioning, bilges, grey and black water tanks, discharge pumps, co2 system as extinguishers, watertightness, fuel system, water capacity and hydrophors, electric switches and relays, lights, navigational aids, such as radar, gps, chartplotter, echosounder, speedometer, anomemeter, vhf, navtex, navnet, windlass, chains, anchors, propellers, bow and stern thrusters, ropes, tenders, etc. All this is a complicated job and we recommend our clients that a preowned sailing yacht has almost everything already installed and proven to be working unless otherwise badly maintained and disgarded. 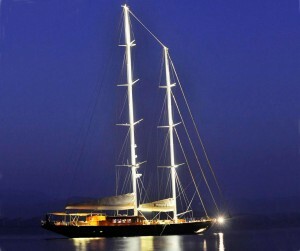 Used or preowned sailing yachts for sale can be a relief to sell or can be a great bargain if the yacht and price is right, Sometimes it can become a burden to have a yacht unused or unattended, if not maintained well, a yacht may deteriorate and become a headache for her owner more than a pleasure. 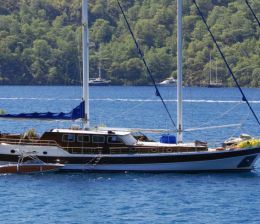 İf you own a yacht which not in use for lack of time or money its better to sell her and let someone else give her a chance to splash the waves.